Michael C. Hall (left) rehearsing with Spencer Liff. Photo by Kyle Froman. To some choreographers, revising a show that’s already opened to raves—not to mention four Tonys—would seem a superfluous chore. 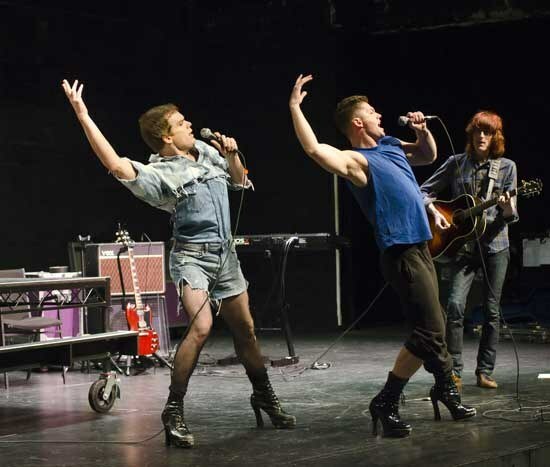 But Spencer Liff was happy to be back in New York this fall for a week to rework his Hedwig and the Angry Inch choreography for Michael C. Hall (of “Dexter” fame), who was following on the (high) heels of Neil Patrick Harris and Andrew Rannells in the title role.